This book proposes that community development has been increasingly influenced and co-opted by a modernist, soulless, rational philosophy - reducing it to a shallow technique for ‘solving community problems’. In contrast, this dialogical approach re-maps the ground of community development practice within a frame of ideas such as dialogue, hospitality and depth. 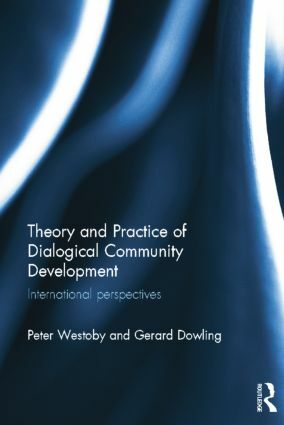 For the first time community development practitioners are provided　with an accessible understanding of dialogue and its relevance to their practice, exploring the contributions of internationally significant thinkers such as　P. Freire, M. Buber, D. Bohm and H.G Gadamer, J. Derrida, G. Esteva and R. Sennett. What makes the book distinctive is that: first, it identifies a dialogical tradition of community development and considers how such a tradition shapes practice within contemporary contexts and concerns – economic, social, political, cultural and ecological. Second, the book contrasts such an approach with technical and instrumental approaches to development that fail to take complex systems seriously. Third, the approach links theory to practice through a combination of storytelling and theory-reflection – ensuring that readers are drawn into a practice-theory that they feel increasingly confident has been 'tried and tested' in the world over the past 25 years. Peter Westoby is a Senior Lecturer in Community Development (CD) within the CD Unit of the School of Social Science, Queensland University, Australia, and a Research Fellow with the Centre for Development Support, University of Free State, South Africa. He is also a Director/Consultant with the non-profit co-operative Community Praxis Co-op, which provides youth, community and organisational development services. His experience includes over 20 years of practice work in South Africa, PNG, the Philippines, Vanuatu and Australia. Gerard Dowling has 20 years of experience in various community development roles in Brisbane, Australia, including housing work with the Tenants' Union and collaborative community planning consultancies with Community Praxis Co-op. He currently manages a strategy unit organises youth projects for Brisbane City Council, working to make the city's programmes, services and facilities more inclusive. He explores creative ways to engage young people in youth space, urban design, multicultural community, sustainability, social enterprise, and e-citizenship in an innovative local government context.